If you prefer veggie, gluten/dairy-free, paleo, or have allergies, let us know when you book and we will do our best to accommodate your needs. Please be aware that Wolf Point is likely to wash out this year. Wolf Point is a rock outcropping that is our "half way" point on the trail. 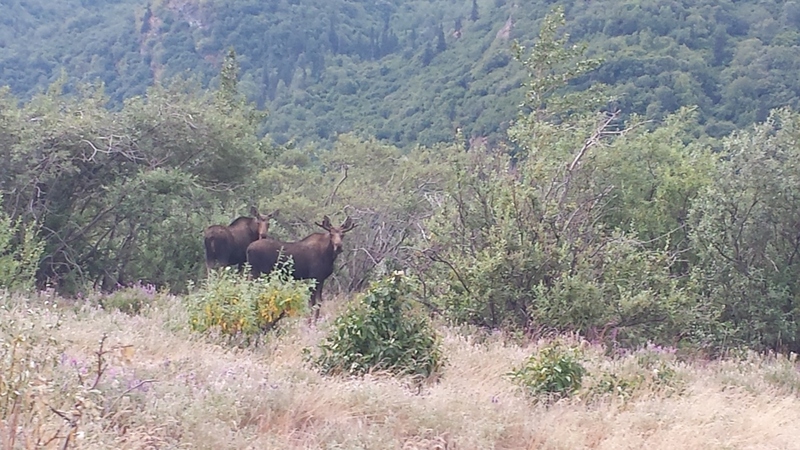 It is also a narrow pinch-point where the trail is “pinched” between the mountain and Knik River. We had a major earthquake this winter which will cause changes in the path of Knik River once the ground thaws in the spring. We anticipate that the river will wash out the trail at Wolf Point. If this happens we will still have opportunities to see Knik Glacier in the distance, but access to the moraine will be cut off. If you have a full-day tour booked with us, we will contact you as soon as possible. Full-day tours will be shortened to half-day tours with the difference refunded. Standard cancellation terms will apply. 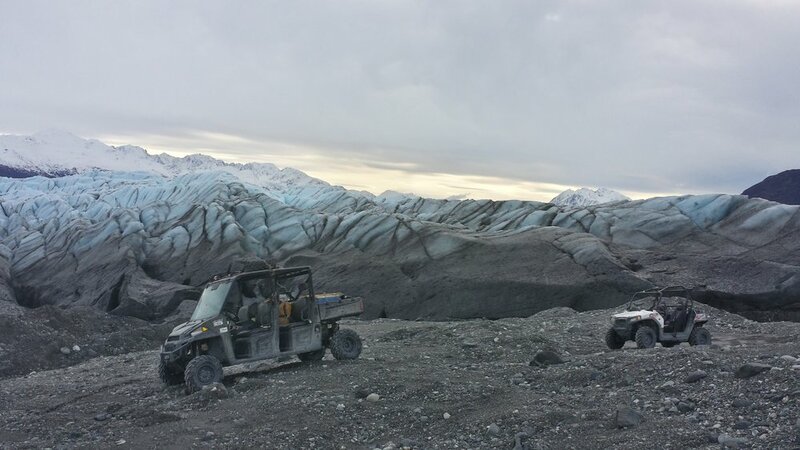 The Knik Glacier, located on the northern edge of the Chugach Mountains, is over 28 miles long and 5 miles across, making it one of Southcentral Alaska's greatest rivers of ice. 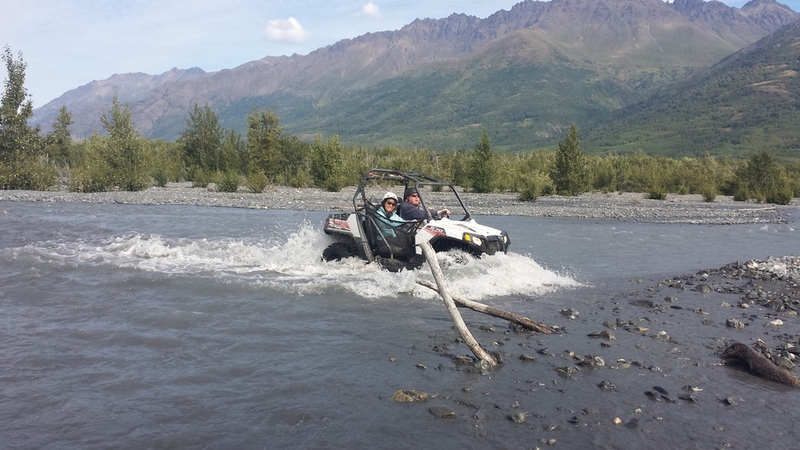 This is our first choice tour for adventurers wanting an amazing and truly Alaskan experience. 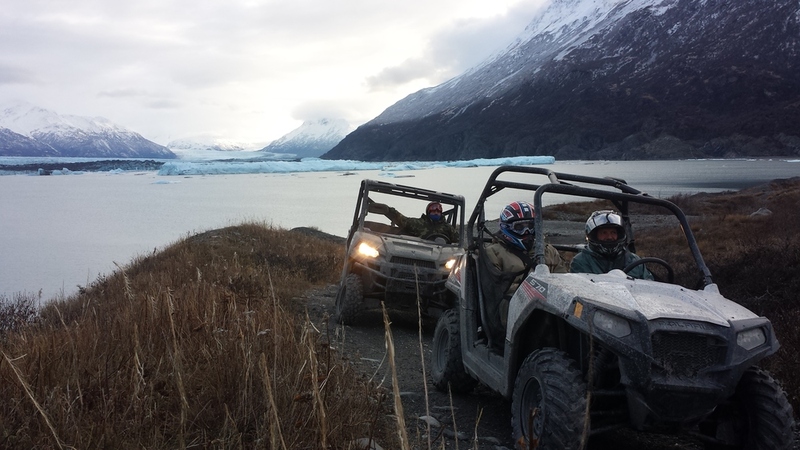 The glacier lies at the end of a beautiful 22 mile long ATV trail where you’ll enjoy an Alaskan meal and hot drinks before the ride back. This amazing trail covers many different environments; wooded forest, sand dunes, dried riverbeds, meadows and a glacial lake. 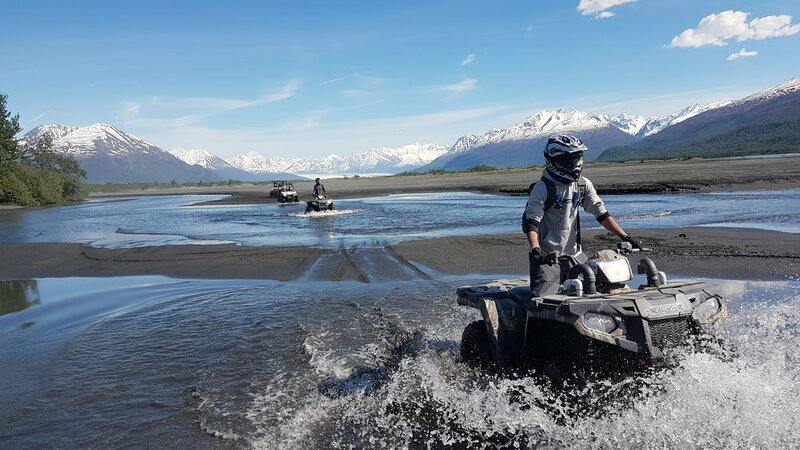 Along the way, you will see Knik Glacier, Knik River, Pioneer Peak, Jim Creek, Friday Creek, Metal Creek, and finally, iceberg-filled Lake George. The trail itself is well-defined yet rugged. 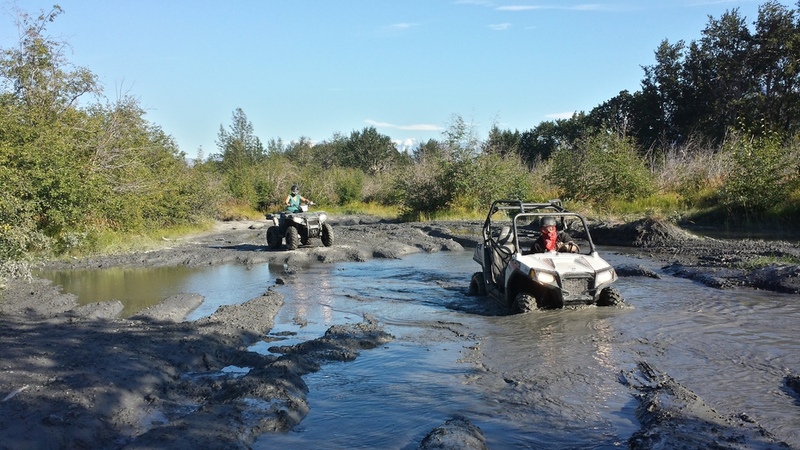 You'll cross streams and other obstacles as our expert guides show you the way. Please be aware that Knik River is currently on the move. 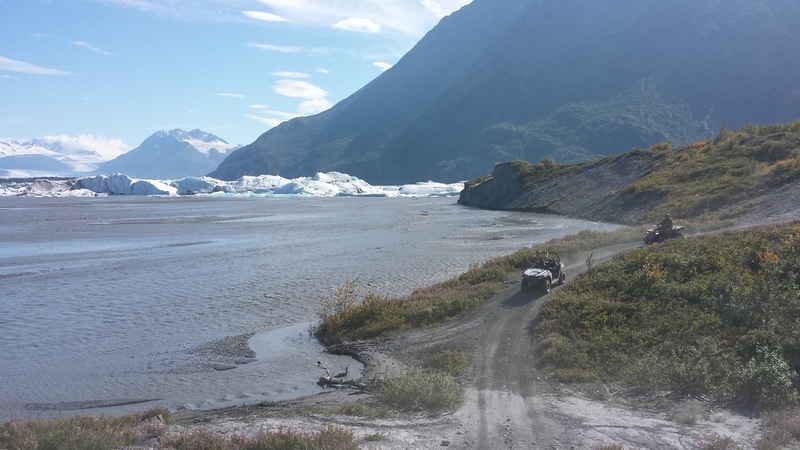 River conditions will dictate how close we get to the glacier. 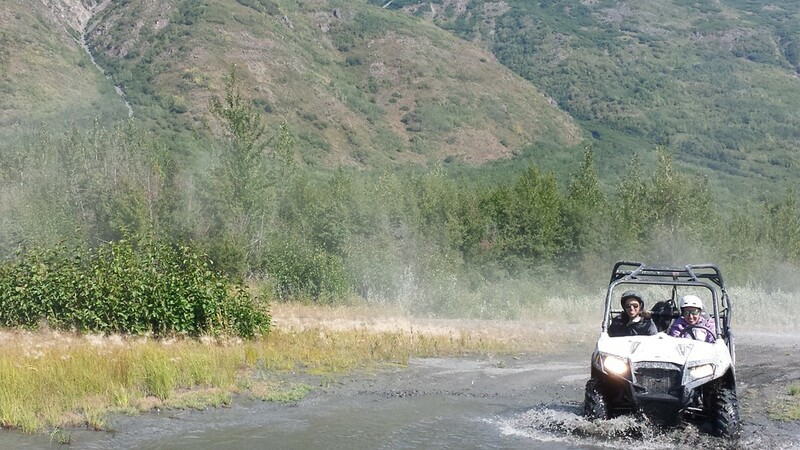 Whether you're a thrill-seeker looking for adventure or a family group looking for a very fun day trip, this is the trail you want. 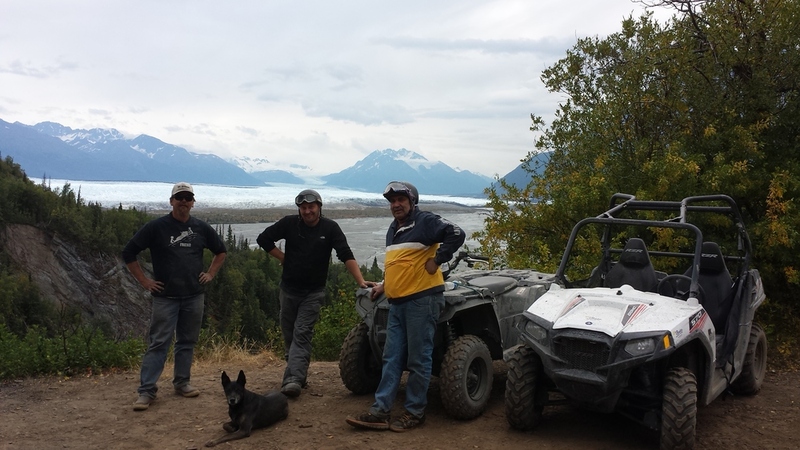 The vast trail system here allows us to cater the experience to you and your current offroading skill level. As with all of our trails… be prepared! Dress warm, wear clothes you don't mind getting muddy and wear multiple layers (no open-toed shoes, rainboots are preferred). Helmets, goggles and gloves will be provided but feel free to bring your own. When scheduling, please let us know and allow additional time if you need to make a flight or other scheduled connection. 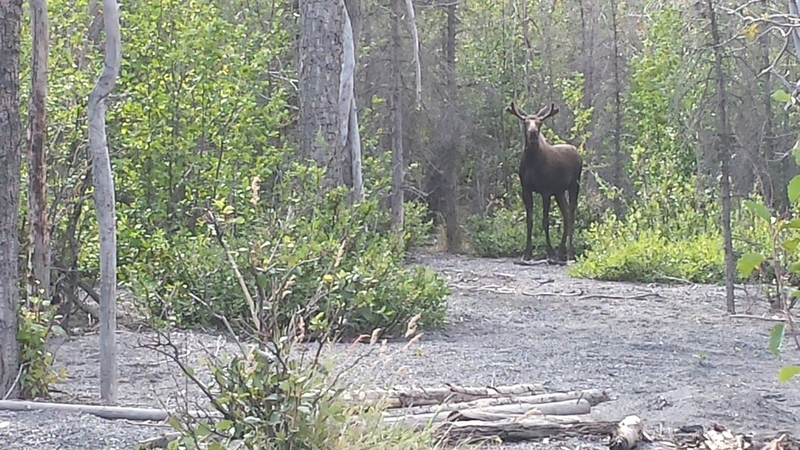 Shuttle service to and from the downtown Anchorage Visitor Information Center is included. Shuttle service for other locations within the Anchorage bowl is available for a small fee.